One of my New Year’s resolutions is to cut down on sugar. When I wrote it down I thought of chocolate mostly . 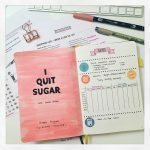 As I was trying to think of what to do to achieve my goal, I came across the “I Quit Sugar” website. I read everything I could and the next thing was to enroll in the program! Starting this Sunday, 21st January, the 8-week program helps you to quit sugar totally for 4 week’s and then re-introduce it at lower levels. I was shocked when I realised that when we refer to sugar, it is not only the obvious or some unhealthy choices. It is also fruits, honey, cereals, low-fat dairy… To be honest I don’t know if I can make it. I will try it. 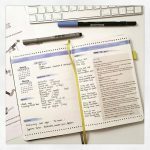 I have to study a lot, to cook a lot, since I must reset my breakfast, my apple snack, my banana before the gym, my protein bar and so on. I am hoping that this will cause me some trouble the first couple weeks and then it will be easier. 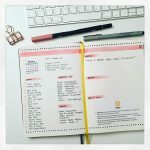 I am drastic at my thoughts sometimes, I really hope to stick with it and succeed!In order to organise the info better, I am implementing some of the program’s icons in my health bujo. Let’s see how this goes!!! Forgot to say, that my husband joins me as well, as he has no other option!!! 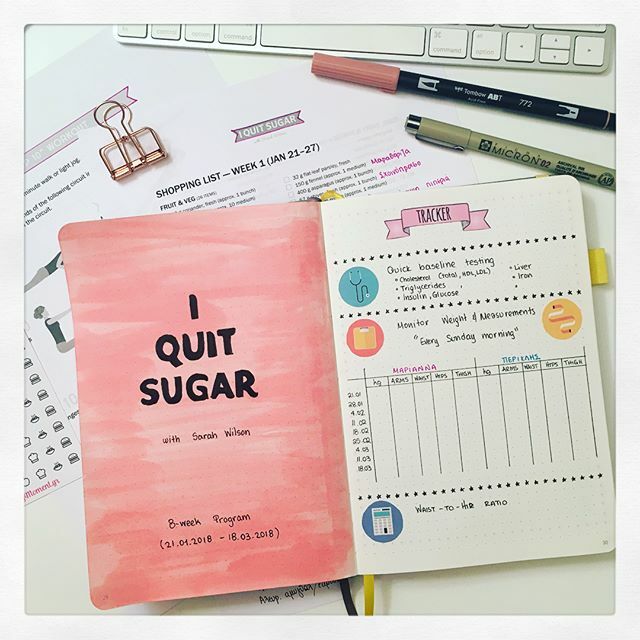 I quit sugar in my health bujo!